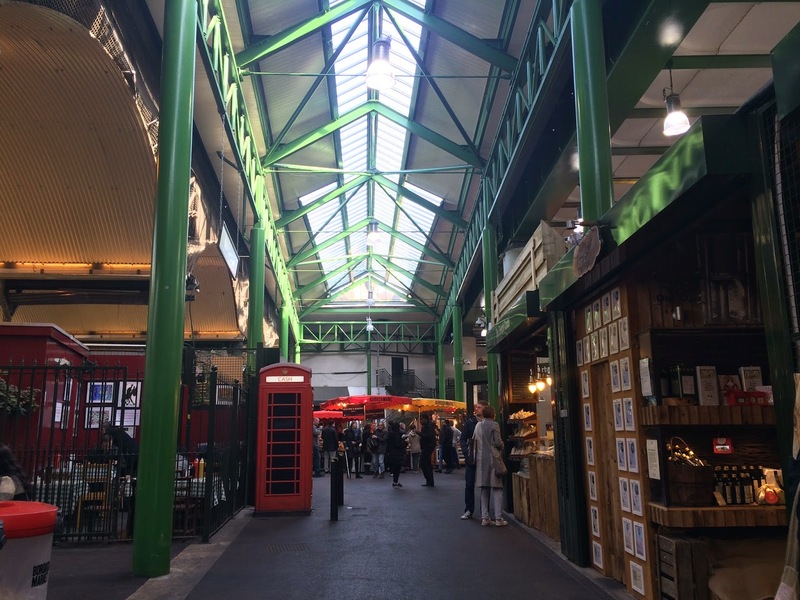 Borough Market – for the millionth time! I just finished a huge project for uni recently! To celebrate, I took a trip (actually, two) to Borough Market, aka one of my favourite places on earth. My friend and I went there on a Wednesday, since we both remember how crowded it was on Saturdays, we swore to God we are NEVER going there on a Saturday again. NEVER. Borough Market on a Wednesday felt much more comfortable and chill. Without all the hustle on Saturdays it makes the whole atmosphere felt more relaxed. I definitely recommend you all to come on a Wednesday if you know your way around here. But for a first-timer, you might wanna come on a Saturday to feel how CRAZY people can be for the market. For many times I’ve walked pass the paella stall. Every time the stall owner has been really friendly and always ask people to try their paella. And this time I’ve decided to buy one finally! I was never a big fan of seafood, but I really love this paella! I felt like there was a really strong and rich seafood flavour in the rice, and it was quite chewy as well. The amount of seafood given was really generous, and the lemon just enhances the flavour even more. Another stall that I would like to recommend it is one by the Southwark Cathedral that sells Thai food. My friend got a Pad Thai from there (around £5.90? ), and it was absolutely delicious. Since the weather was super nice, what completed the amazing trip to Borough Market was the walk along River Thames. Of course it was one of the few days that the weather was nice in March, so we were very lucky… 🙂 But weather really shouldn’t be a problem from now on till mid October. What is your favourite food market in your city? Share with me by leaving a comment below! My egg tart is bigger than yours!